Shop online for 140 motrak model trains at discounts up to 46%. Freight Cars is the most popular of the 3 motrak model trains categories, then Buildings, and Railroad Scenery. This is the HO Scale Coal Loads for Atlas 2-Bay Hopper (2-Pack) from Motrak Models. This is the HO Scale 81406 Coal Loads for Bowser/Stewart Offset Hopper (2-Pack) from Motrak Models. This is the Motrak Models HO Scale Coal Loads for Athearn 34' 2-Bay Hopper (2-Pack). 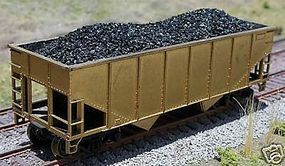 This is the HO scale Coal Loads for Walthers 100 Ton Quad Hopper (2-Pack) from Motrak Models. 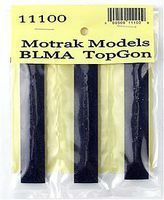 This is the N Scale Resin Coal Loads for BLMA TopGon Hopper (3-Pack) from Motrak Models. This is the Motrak Models HO Scale Coal Loads for Athearn/MDC 40' 3-Bay Hopper (2-Pack). This the Motrak Models HO Scale Coal Loads for Athearn/MDC 50' Bathtub Gondola (2-Pack). This is the N Scale Woodchip Loads for Deluxe Woodchip Hopper (3-Pack) from Motrak Models. This the Motrak Models HO Scale Marblehead Gravel Loads for Athearn/MDC Ballast Hopper (2-Pack). This is the Motrak Models HO Scale Sand Loads for Athearn 50' Mill Gonodola (2-Pack). This is the HO Scale Coal Loads for Bowser/Stewart 12 Panel Hopper (2-Pack) from Motrak Models. 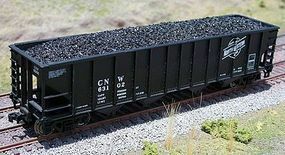 This is the HO Scale Resin Coal Loads for Walthers Bethgon Hopper (2-Pack) from Motrak Models. This is the Motrak Models HO Scale Resin Coal Loads for Athearn Bethgon Hopper (2-Pack). 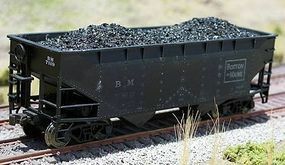 This is the Coal Loads for Bowser/Stewart Fishbelly Hopper (2-Pack) from Motrak Models. This is the HO Scale Scrap Metal Load for LBF/Intermountain 52' Mill Gondola from Motrak Models. This is the HO Scale Coal Loads for Walthers/Proto 3-Bay Eastern Hopper (2-Pack) from Motrak Models. This is the Motrak Models HO Scale Scrap Metal Load for Athearn 65' Mill Gondola. This is the HO Scale Coal Loads for Bowser/Stewart 14 Panel Hopper (2-Pack) from Motrak Models. This is the Motrak Models HO Scale Scrap Metal Load for Accurail 41' Gondola. This is the Motrak Models HO Scale Gravel Loads for Athearn/MDC 40' 3-Bay Hopper (2-Pack).